When analyzing the full layout of the average home, the various pieces it is comprised of start to come to mind: the bedroom, living room, dining room, kitchen, and basement – all of these areas of the home are unique, special, and provide their own specific purposes for our lifestyles. The same can be said about one of the more underappreciated, yet most important rooms in our homes: our bathrooms. For a room as versatile and useful as the bathroom, many of us tend to forget the impact that it has in our everyday lives. Whether it’s used for bathing and grooming, as a sanctuary to escape the days stresses, or just used for a little extra storage, the bathroom is among the most important rooms in any household. Because the bathroom is such a vital room in our homes it’s important that they serve our specific needs, not just in function but also in style. So if you are looking to upgrade your bathroom in 2017, here are our top 3 bathroom design trends for 2017. When comparing the many expert opinions on how bathroom design trends will evolve in 2017, one of the more vocal opinions across the board was the implementation of a single, set design scheme. Not only are all of these schemes flexible to fit into the previously established designs or themes of your household, but they are also among the most exciting and innovative of trends for both 2017, and likely for years to come. A heritage look, typically defined by a variety of features that mix vintage attraction with a contemporary elegance, is just one of the more popular bathroom design trends you can implement into your bath design for 2017. However, in order to pull off the perfect heritage look for your home, Ideal Home recommends a few different tips and tricks before pursuing this scheme. When pursuing a heritage style scheme, you must first select a particular period to emulate, truly tapping into the innovative style of the time that will coalesce with your home design scheme. Some of the more popular periods that are imitated are Victorian- and Edwardian-style reproductions – however, Art Deco-style designs are also on the rise, as their use of geometrics in their design is congruent with current trends. What better way to showcase a classic era in the world of design than by putting a modern spin on an existing design? Whether it’s making updates to the weaknesses of a time period, such as by updating the plumbing or making the space more eco-friendly, or by using advancements previously unavailable, such as by updating the showers, tubs, or wash basins, these are just some of the ways you can add some simple contemporary touches to your new bathroom. Finally, in order to fully immerse both yourself and your guests into the understated luxury of a heritage-style bathroom, you’ll want to fully commit to the design scheme. There are many ways that you can do this – fixtures, fittings, color schemes, tile designs – the possibilities are truly endless. When it comes to selecting a color to go with this style, softer blues and greens are most typically utilized, while a more natural, neutral grey is also popular. Additionally, mixing brassware for the sink fixtures and handles with light-blue furniture can really help your bathroom design “pop” and make a lasting impression. Finally, because many contemporary upscale hotels utilize a heritage-style bathroom design for their rooms, why not implement a similar style into your own bathroom? A bathtub, for example, can make a stronger impact on the design of a bathroom by being placed in a central location, as opposed to hugging a wall. Additionally, a tub-side table can also be installed to keep regularly used items at arm’s reach. Though some believe a specific, heritage-style bathroom design is the perfect look for their bathroom; you may want to keep your options open for a look that better suits your home. If you are looking for a more flexible design style, a natural look is also becoming increasingly popular as a bathroom design trend for 2017. One of the benefits of utilizing a natural design scheme for your bathroom is that due to the less specific guidelines dictated by this style, there isn’t as much pressure to follow one set archetype. There are a wide variety of natural materials that you can use for this style that add personality and soften the overall nature of the room. A popular method of showing off a natural element is to use a stone-inspired setup either for your walls or floors – be sure to choose a material resistant to slips and falls. Stonewalls and flooring are just the tip of the iceberg – there are literally dozens of ways to implement both stone and other natural elements into this type of a design scheme. Adding an antique tap as an alternate use of plumbing or utilizing wood, stone-based shelving, or duckboards into a bathroom are great ways of showcasing this connection to the natural world. Not only this, but wood paneling is also on the rise as both an insulator and a means of adding character to a bathroom. Because a natural bathroom style is becoming increasingly popular, it’s important to use other past examples of this scheme for reference. While it’s important to be creative with your own vision, it never hurts to take a look at another person’s vision to help inspire you. For example, a natural country landscape bathroom design scheme, combining a farmhouse feel with older style storage cabinets, is a perfectly viable option with numerous opportunities to put in your own creative flair into. If the previously discussed bathroom design trends seem a little bit too ho-hum for your personal tastes, and you find yourself looking for something a little more daring for your design, then you’re in luck, as drama and impact are equally prominent bathroom design trends in 2017. However, there’s a fine line between creating a bold statement and overpowering the room, so here are a few tips to keep in mind before making any drastic changes to your bathroom. Utilizing a set color scheme is one of the best ways to make an immediate and strong impression that delivers a dramatic new look. However, the impression tends to only work when consideration is given to both the colors being used and how they’re being utilized. It is recommended that if you decide to use one or two different bold colors in your bathroom, to use them sparingly. Try using these bold colors strictly to one primary wall, which will help to create a daring impression without beating someone over the head with how bold it is. Bathroom design doesn’t just stop at the walls and color scheme. In order to fully commit to a dramatic theme, it’s important to also utilize more daring options for fixtures, external plumbing, and accessories. A popular method of exploring this option is to look into metal alternatives, such as brass, rose gold, or copper – all of which have continued to rise in popularity in recent years. Not only this, but adding in accessories that incorporate a flair for the dramatic is a great way to support this scheme – whether it’s through bold choices in shower curtains, bathroom rugs, lotions, soaps, or towels, you’re only limited by your imagination. Just as previously discussed in the natural bathroom design scheme section, a centrally located bathtub can make an incredible impression in a bathroom, creating a variety of options to meet nearly any look you’re going for. In a heritage or natural-themed bathroom design, you should look for softer, muted colors to showcase the understated look of a room. However, in a dramatic design scheme, you should do the exact opposite to draw as much attention to it as possible. There are many ways to bring this kind of attention to a bathtub, but there are two in particular worth noting. The first is to paper the outside walls of a bathtub, offering an elegant, exciting look that will undoubtedly highlight a shimmering presence. The other method of making a bathtub stand out is to simply paint it either a color that compliments the existing bathroom scheme, or to go in an opposite direction to make the tub stick out. Either extreme is going to undoubtedly bring some much-needed attention to a dramatic-themed bathroom design. We are reminded daily of the many stylish and technologically exciting innovations that continue to come to market to make our lives easier. However, one of the main downsides of this is that as soon as we find the next “big thing” to install as part of our design, it seems like it’s quickly replaced by the next “big thing.” Because of this, many of us are afraid of taking the next step in updating our baths, as it seems that whatever we acquire or install will be obsolete within the next several months – if not weeks. Thankfully, however, many of the larger advancements in bathroom design trends for 2017 help to throw the allure of potential progress – or running out to get the next big thing – to the wind and focus on design that is timeless instead of innovative. While these bathroom designs and technological advancements are impressive, their benefit is that they are ideas that don’t need to be improved upon – keeping both your personal choices and budget in mind. With that said, here are a few things to keep in mind when considering elements of bathroom design. Taking a look at the world of design, especially when utilizing one of the three designs previously discussed, you’ll want to follow a few tips to help make sure your bathroom can truly stand out, while also finding a way to put your own imprint on it. 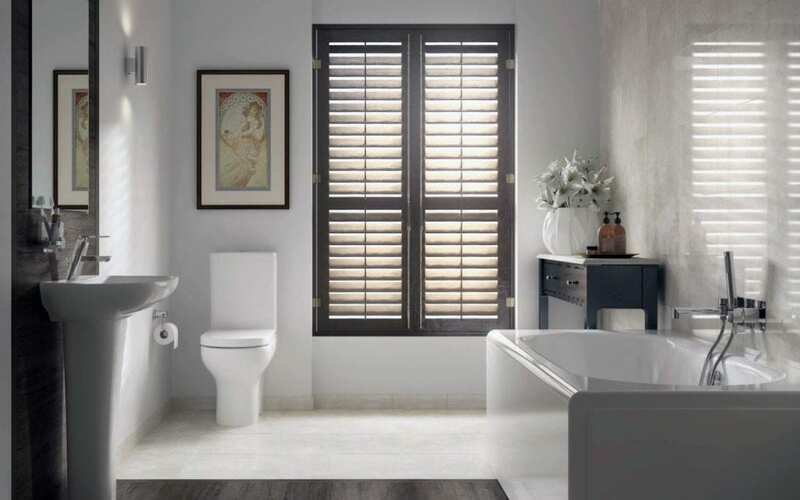 One easy way to make your latest bathroom innovation a breeze is to play with the dynamics of continuity – making adjustments to a period’s set designs to match your own personal tastes. By making simple adjustments to the walls and floors – perhaps by adding baseboards, wainscoting, or refinishing a floor – you can make subtle, welcome changes to the room’s atmosphere, taking on a completely new style without having to break the bank. To find ageless ways to make your bathroom not only make a lasting impression, but to also keep your design relevant and fresh for as long as possible, you may want to consider utilizing timeless materials as part of your bathroom design. Using a variety of elements found either outdoors or in nature, like timber, stone, metal, or ceramics is a great way to introduce a sense of warmth and familiarity into your bath décor. However, you will need to find unique ways of introducing these elements into your bathroom to ensure that your design appears natural and organic – as natural elements can often clash when not utilized properly in design. In some cases, you may feel the need to overcompensate for a lack of confidence in a bathroom design by adding more items, trinkets, and knick-knacks into your space. However, bathroom design trends for 2017 are suggesting just the opposite – less is more, especially in the small confines of a bathroom. Utilizing a minimalistic mindset can help to engage your guest’s sense of not being overwhelmed while in your bathroom. Finding a compact, yet elegant method of demonstrating your bathroom design is the perfect way to tap into this mindset. As technology keeps advancing, you may want to keep up with what the future has to offer in order to fully immerse yourself in the modern era. There are a number of advancements in bathroom fixtures and hardware that you should keep in mind when making your bathroom design choices if you are looking to become more tech-savvy. If the previous recommendations for centralized tubs don’t spark your interest, you may want to go in a different direction and consider a deluxe shower instead. Showers are quickly becoming more popular than tubs due to their accessibility, practicality, and increasing innovations. Deluxe showers take what works well about traditional showers to the next level. With added features like high pressure body sprays, water jets, and improved showerheads, deluxe showers offer an unmatched bathing experience. What better way to enjoy one of the most relaxing times of the day than by listening to your favorite music, comedy, or podcast? This is possible via electronic-based showerheads and speaker systems. With just a simple Bluetooth hook up, your mirror, showerhead or vanity can become connected to your MP3 player or smartphone in a snap, providing an immersive, personal experience. Or, if you’re really feeling like stepping into the 21st century, look no further than the possibility of a installing a TV right in your shower! Let’s face it, during the cold and bitter winter months, there’s no such thing as too much heat in your home; this especially applies to our bathrooms. Our baths often have tile floors that greet us with shocking cold when stepped on in the morning – you want to continue to feel the warm embrace of your bed when you step into your bath after a winter’s slumber. Luckily, there are multiple ways to beat the cold for us Michiganders looking to add a little extra warmth to our baths. In-floor heat and towel warmers are a few popular options you can add to achieve extra warmth. Light fixtures can also serve as ambient warming lamps that quickly heat a room on a cold winter morning, and smart thermostats can set your bath’s heat to turn on moments before you awake. If you are looking for a quick fix, the use of stylish throw rugs can add to your bath’s décor and also keep your feet from directly touching a cold tile floor. The design specialists at Kitchen and Bath Unlimited are here to help you with all of your bathroom design needs. We know the latest bathroom design trends and how you can make them work for you. Whether you are seeking help with choosing a new color scheme or are looking for a total renovation of your bath to create a completely modern oasis, you can call on us. Visit our showroom at 6313 Stadium Drive in Kalamazoo, or call us at 269-375-2212 to talk to a design specialist about making 2017 the year that you turn your bathroom into a room that you love to spend time in.